Everyone’s dad is the best and who knows better than their children? This book illustrates endearing sentiments shared by children about their fathers, with great illustrations of familiar animals. Reasons range from ‘because he tickles me’ to ‘because he is my best friend’. 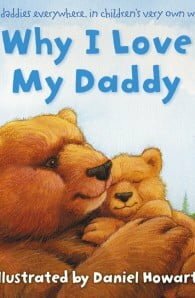 Why I Love My Daddy is the perfect book for dads and kids to read together. Filled with laughs and love, it is recommended for any dad with newborns to three year olds.